One of the British Government’s most recognised privacy adviser has quit his role on the Cabinet Office’s Privacy and Consumer Advisory Group in anger over what he sees as a persistent lack of support and regular ignoring of their advice. Jerry Fishenden is a former Chair and co-Chair of the group which was set up by Cabinet Office Minister Francis Maude back in 2011. The group was intended to advise on how the Government could provide safe and private ways for British citizens to access public services online. During Fishenden’s time on the group, they have reviewed a whole host of different government policies and initiatives including the NHS care.data programme, the Gov.uk Verify identity assurance programme, the digitisation of the electoral roll, the use of data in the Office of National Statistics, and the Investigatory Powers Bill. According to Fishenden, while Maude was in charge of the Cabinet Office the group was playing a valuable role in addressing privacy issues in these policy areas and more. But since Maude left his post after the 2015 election, the group has been marginalised. The group have attempted to contact both of Maude’s successors in the role, Matt Hancock and Ben Gummer, but aside from a single early meeting with Hancock, neither have seen fit to reply to correspondence or engage with the group in any way. One such example of this is the Verify identification service on the Gov.uk website. As Fishenden recently wrote in a blog for ComputerWeekly.com, this programme has faced various problems in implementation and delivery. Many citizens find the system simply fails to verify them, while others that do get verified then encounter various other problems, such as departments being unable to match the verified data with their own information. Along with other issues, Fishenden argued that Verify needed to be reviewed as a matter of urgency as it risks undermining the various other good work that has been done on the Gov.uk website. Then there is the Digital Economy Bill which, as we have reported before looks likely to be a privacy nightmare. Fishenden was himself part of a group which attacked the Bill last year, claiming that it was putting ministers “in control of citizens’ personal data” and provided insufficient detail and scrutiny on its data sharing provisions. Another member of the group, Guy Herbert, who ran the successful No2ID campaign against the attempts by the previous Labour Government to introduce ID cards, supported Fishenden’s comments. He said on Twitter that the frequent cancellations of meetings between the group and officials were becoming “increasingly frustrating”. All of this comes at the same time as plans to use the Investigatory Powers Bill to introduce encryption backdoors and carry out real-time surveillance, which we reported on yesterday. The impression it gives is of a Government which arrogantly think that it knows best on these matters and views privacy as little more than a side issue in its grand scheme of protecting people. This is a stance that British people will not put up with for long. 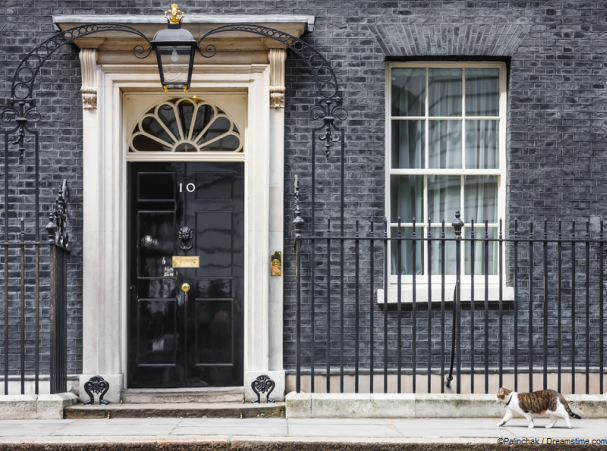 Privacy is unlikely to be a major issue in the forthcoming general election in the UK, but further efforts to erode individual freedoms and liberties will continue to be met with resistance. And whether members of an official government body or not, the likes of Jerry Fishenden will continue to be forthright in voicing their concerns about the countless flaws in Government policy in this area.